Long-serving Memphis state Senator, leader of Senate Democrats, will run for seat to be vacated by Appeals Court designate Arnold Goldin. Jim Kyle, the long-serving Memphis state Senator who for several years has served as leader off the shrinking band of Democrats in the Tennessee state Senate, announced Thursday his intention to pull petition papers to run for the Chancery Court Part Two seat in Shelby County. The seat is open, due to Governor Bill Haslam’s appointment of incumbent Chancellor Arnold Goldin to the Tennessee Court of Appeals, Western Section, effective September 1. The race by Kyle will mark his third attempt in recent years to transition from the Senate to other public office. In 2011 he lost by one vote on the Shelby County Commission a bid to serve on the provisional Shelby County Schools board, then in the process of being created. That service would not have precluded his continuing as a state Senator, but Kyle said last year, when he applied as a candidate for a Probate Court vacancy, that he would resign from the Senate if chosen. But that bid, too, was turned away by the margin of one vote on the Shelby County Commission. The senator, who has numerous contacts in both the political and legal world, is expected to be a formidable candidate for the Chancery seat this year. 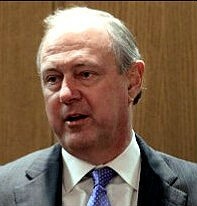 A founding partner of the Memphis law firm Domidco Kyle, he was first elected to the state Senate in 1983 and became leader of Senate Democrats in 2005.